We are hard at work on our Monster DNA headphones review (it'll appear later roday! ), and while putting the headphones through their paces, we snapped a bunch of images of the striking cans. The new White Tuxedo color debuted at the MTV Movie Awards this past weekend where a bunch of stars signed a pair to be auctioned off for charity, and went on sale today at the Apple Store and the Monster Products store. 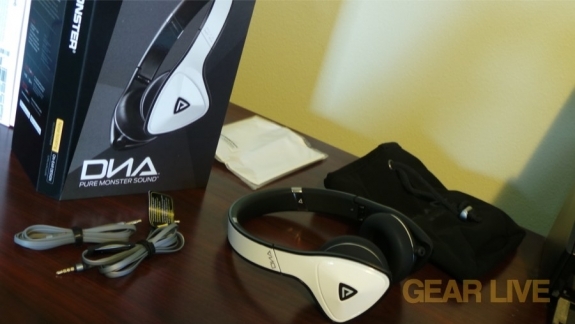 Head on over to the Monster DNA headphones unboxing gallery for a look at all the shots.